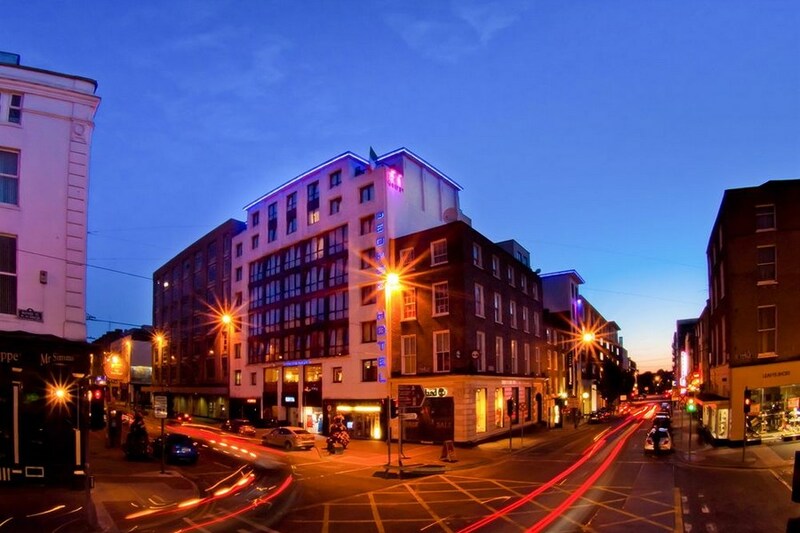 The George Boutique Hotel is a beautifully crafted Hotel in the heart of Limerick city centre. This ultra modern boutique hotel is ideally situated for both business and leisure guests. 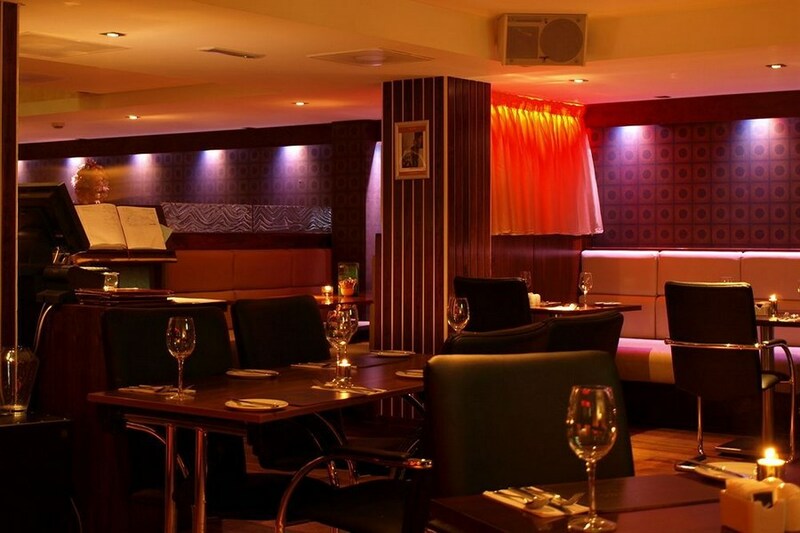 Boasting an eclectic mix of contemporary style and comfort, guests can experience the perfect match of cutting edge, cosmopolitan style, and an unparallel standard of service in swish surroundings in the heart of Limerick City. There is also free overnight car parking facilities when booking The George Boutique Hotel.. If you are driving, it is good to know prior to check in: Hotel Entrance is located on Shannon Street. You can easily find the hotel on GOOGLE MAPS. Hotel Entrance GPS coordinates: 52.6625417, -8.628765. Car Park Entrance is located on Henry Street. You can easily get directions to car park entrance on GOOGLE MAPS. Car Park GPS coordinates: 52.662734, -8.630075. Direct telephone to Howleys Quay Car Park: +353 61 401 833. Overnight parking is FREE @ Howleys Quay Car Park 18.30 to 08.00 weekdays. Free 18.30 to 10.00 weekends. Maximum Day Rate or 24 hours is EUR7.50 3 day pass: EUR15 Weekly pass: EUR20 Weekend pass for EUR15.00 Friday till Sunday. Park anytime on Friday until anytime on Sunday. With Limerick on your door step explore the variety of the historic treaty city, offering a cultural, dinning and shopping experience which is truly unique. If you wish sample the many fine restaurants The George is surrounded by over 25 ethnic restaurants bringing you a multitude of choice of world wide cuisine just paces from the front door of the hotel. The George Boutique Hotel is my favourite hotel in Limerick. It is ideally located in the centre of Limerick City. The rooms are big, modern and very comfortable with all mod cons. The reataurant and bar are excellent with Di Vincenzo's menu serving original and authentic Italian dishes. My favourite part though is the Gin bar, where the friendliest of staff are always eager to assist, educate and offer tasters. The George will always be first on my list when travelling to this part of the country. Was very disappointed with this hotel before we even arrived. They are guilty of false advertising at every step of the way. As they advertised babysitting services I called to arrange a babysitter - 4 calls later (long story) I was told they didn't offer this service and given a phone number to call direct which needless to say went to a voicemail that never got answered. Managed to get a babysitter myself and promised the kids an in room movie - again this service was advertised even cards in the room displayed the service. As I couldn't get it working I rang the front desk and was told the service had been discontinued. On both occasions I mentioned the false advertising and was met with an attitude that told me they couldn't care less. The final straw was the fact that the family room did not have a bath and I had to pay an extra €40 to use a room with a bath for one hour in order to bath my little ones. Needless to say we will not be returning nor recommending this hotel! The hotel was clean, warm & comfortable but our shower wasn't working and we had to contact reception about three times before the issue was resolved and only got to shower on the 2nd night of our 3 night stay. We were overcharged in the restaurant in error and when we brought it to their attention it was refunded immediately and they were very apologetic. I felt with both issues an offer of a drink on the house or some small gesture would have gone a long way. The staff were pleasant to deal with and the hotel was located right in the city and was very convenient. lovely staff. comfortable room. very nice meal. poor breakfast, porridge cold and undercooked, rashers tasteless and hard but overall a nice experience! What an experience. Really comfortable hotel with exceptional staff. Cannot recommend it highly enough! Will be back soon as my stay was much too short. Very pleased with everything, staff, accommodation,food..
Hello, I am just replying to your email requesting a review of my stay in the Hotel. I wish to inform you that we had a lovely time in the hotel, all the staff were very pleasant and helpful. The food was very good and the room was very clean and tidy. We plan to stay here again in the future. Thanking You, Frank. I would highly recommend The George Hotel. The staff are extremely courteous and friendly. The Twin room although quite small was very clean and comfortable. The food in the restaurant was amazing. I would definitely stay there again. Very happy with the hotel, temperature controlled,great food and great location. We had a one night stay. Would return again in the future and would recommend. Fantastic hotel. Lovely staff and would gladly stay in this hotel again and recommend to future hotel hunters looking for an affordable break in the heart of LImerick City. Stayed here on Friday 20th June lovely clean room & they look after me with a late check out as I was getting ready to go to a wedding. fantastic city central hotel great food and very helpful staff. 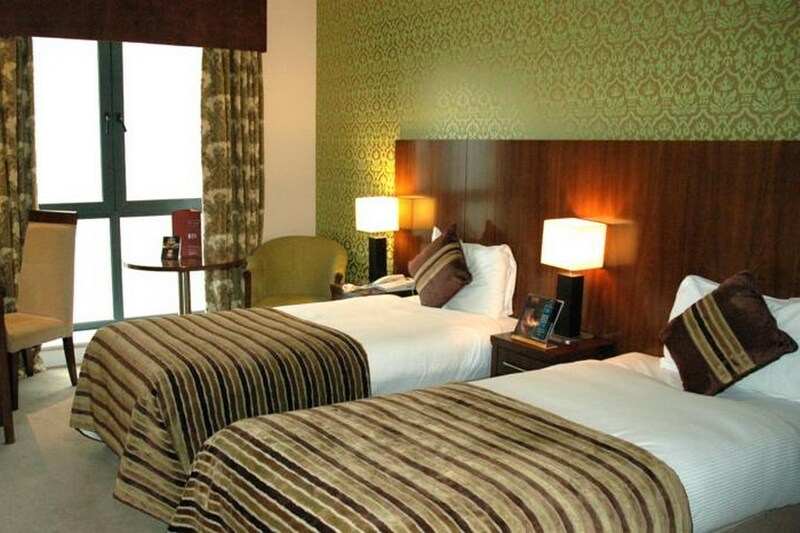 This hotel is located in the city centre, has very friendly and helpful staff and great food. Thoroughly enjoyed our stay and highly recommend. Really enjoyed our stay and will certainly recommend. Room was clean, comfortable and warm. Very central location. Only drawback was the parking issue but once known in advance it can be planned into the budget. Will be back! This was our second stay at this hotel and I must say this time round was a lot better than our previous visit which was during the summer. The staff were so friendly and helpful, the dinner and breakfast was beautiful. The room was clean and warm. There is no parking available on the hotel grounds but there is a car park around the corner which is perfect location for anyone. I would have no problem returning to this hotel and would recommend it to anyone. Lovely Hotel, Staff are extremely pleasant, food was beautiful and the room was perfect. Room comfortable but was noisy from street. Parking is not free unless you want to sit in the dark in your car until half six and car park also charges after 10 in morning so you've got to budget for 7.50 euro per night. Christmas parties were in swing so no room was to be had in the reception area or bar for a drink. Wouldn't rush back. Hotel was good value for money. Meal at night was lovely & breakfast also. Room bit small but clean. Staff all very pleasant. Only bad thing I would have to say was that the smell of food in the hall to the bedroom area which was on the 6th floor was awful. Smelt like burning steak which seemed to come up through the vents. Very Comfortable hotel with a good atmosphere. Staff very friendly and our meal was lovely. Very central location and I would recommend it to family and friends. We really enjoyed our stay. The George is in a great location, the room was very comfortable, the staff were very pleasant and helpful. We had a dinner bed and breakfast deal that was really good value. Enjoyed both dinner and breakfast. Great bar and dining room overlooking o'connell street. We went to the George Hotel in Limerick for my sister-in-law's birthday last weekend. there were 8 of us altogether. The hotel is lovely and the staff are excellent. The food was very good and well presented. The location of the hotel was great although it is a pity that carparking is not included in the stay. Even so, I would highly recommend both the hotel and the city. Well done and thanks! Loved it. It was centrally located, modern and comfortable. The hotel has an arrangement with a nearby multi story car park. The buffet breakfast offered a good choice. Would stay there again, and happy to recommend. Stayed there for one night with my friend. Was very impressed. The room was clean, modern and comfortable. We also had a 2 course evening meal and the food was excellent. The staff were very friendly and helpful. The check out staff even offered to hold our bags while we shopped after check out. Could not fault the place. Would say it would be an ideal hotel for a hen party. Lovely hotel in a fab location right in the heart of Limerick - close to everything we wanted to be close to: shopping and night-life! But despite the central location, the room was quiet and we got a great night's sleep! Staff were friendly and helpful throughout our stay. We had lunch in the restaurant and it was very nice. Would recommend this hotel to anyone visiting Limerick. Stayed for one night. I stayed in a single room which was on the small side but was clean and nicely decorated. This was my second time staying here and I will be staying here again. Great location. Staff we're very friendly, hotel room was clean, food was nice, although we had a small wait for our main. They did come and explain and apologized. I would definitely stay here again. Lovely hotel to stay in, Limerick really does not stand up to its reputation, we had a wonderful time. The staff are friendly and helpful; the hotel was smart and clean and it is very centrally located. Only down side was the breakfast. It was a bit bland and selection limited. But it did what it says on the tin, “fed you”. I would definitely recommend this hotel; it had a great buzz and is only a hop skip & a jump from Cork City. Will be going back, that’s for sure. Beautiful Hotel. We had a fantastic time. The staff were lovely. Food was fabulous Will definitely go back again :-)..
We stayed at the George Boutique Hotel for a two-night break in Limerick over mid-term break. We had never been to the city before, and were very happy with the location of the hotel: it is so central to shopping districts and great nightlife. The staff were very friendly, helpful and professional, especially the gentleman on reception at our check-in and check-out. The hotel itself is beautiful, very clean, warm and comfortable rooms, relaxing lobby area, great choice at breakfast for full Irish or continental, lovely bar and great cocktail menu! I didn't check out the spa on the second floor, but I noticed good deals advertised around the lobby. As the hotel is on one of the main streets in the city, there is a little traffic noise in the morning, but nothing earplugs wouldn't sort out, if you need them. Overall, we would have no hesitation recommending this hotel and we will definitely be visiting again...hopefully in better weather! very happy with our room, bar was lively , bar staff and reception staff helpful and polite, thankyou. Hotel staff very welcoming. The room was clean and well decorated. The shower did not work great. The room temperature was perfect unlike alot of hotels. We had dinner in the restaurant, the service was very good and the food was nice. Very central location. More information in the room about the nearest bars/nightlife would have been helpful. There was entertainment in the hotel bar that night which was very good and there was a great crowd there with a good atmosphere. I did not enjoy my stay at this hotel as we wer charged extra for our dinner which was inclusive in our stay,we were charged more because we got steak but was not notified when ordering and also they would not serve us a drink at the bar and we showed them a passport and drivers license! it was ridiculous as we are 20 years old! Everything was great!!!! Best location in Limerick. I stayed for 2 nights and I couldn't fault this hotel. It is in a great location. Its very clean and the rooms were lovely. The boufet breakfast was also superb. The only thing I would fault the hotel on is the parking. Its a pity they don't have their own carpark or a better deal with the two carparks mentioned on site. I parked in the Dunnes Stores car park which was literally only around the corner but was a little pricy. Staff very nice and very helpful. Our request for a quiet room and a travel cot for a baby were provided. Will be letting family and friends know of this fab hotel in the city centre.